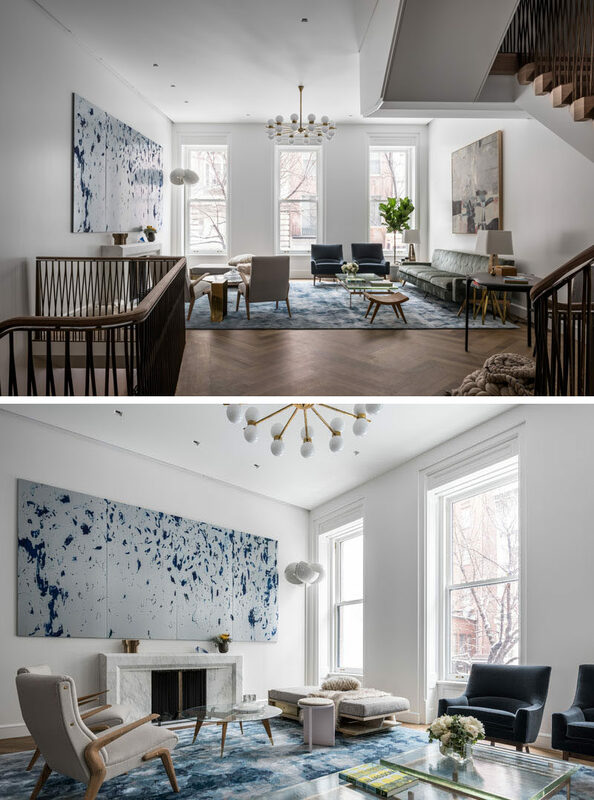 Michael K Chen Architecture (MKCA) have completed the contemporary renovation of a landmarked but badly degraded 1879 Neo-Grec brownstone row house, located on the Upper East Side of Manhattan, New York. In the foyer, there’s a simple sitting area next to a fireplace. 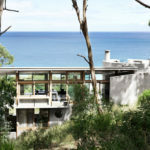 Windows that look out onto the street, fill the space with natural light. 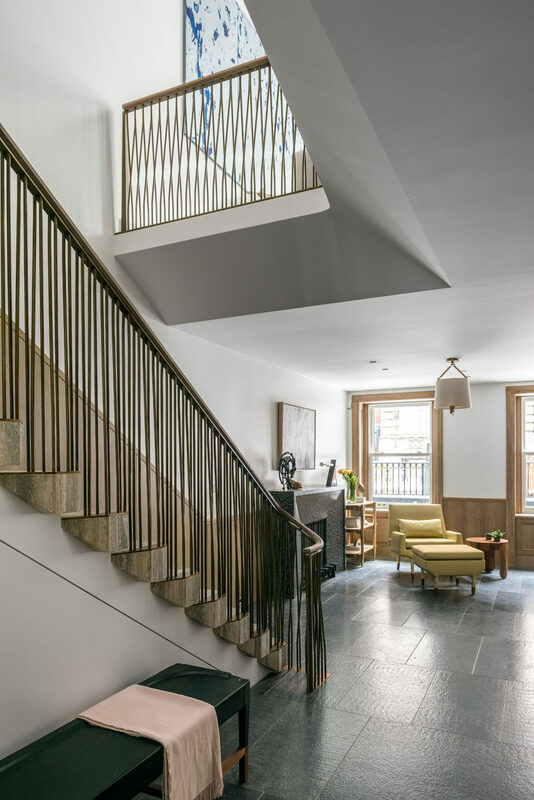 The foyer opens up to one of the staircases that connects the multiple floors of the townhouse. Adjacent to the foyer, is the kitchen. 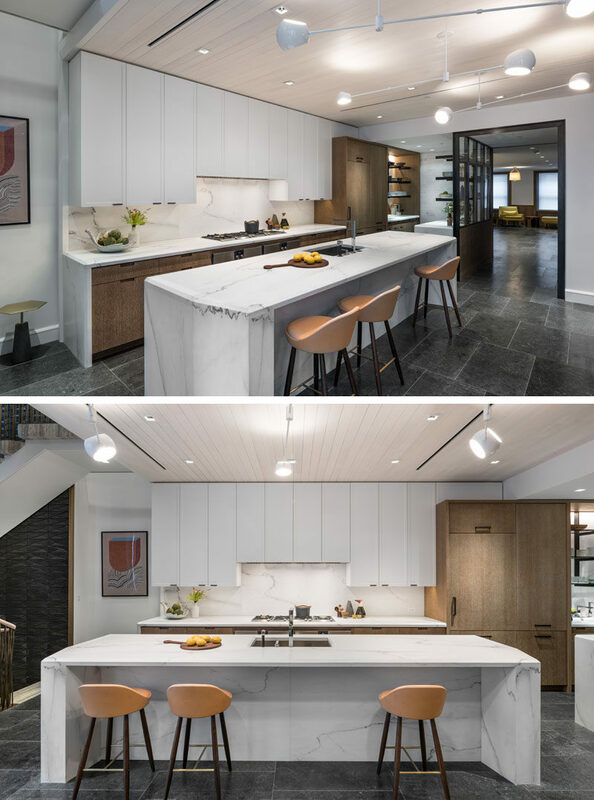 A large island has accompanying Vintage Danish stools in vegetable tanned leather from Wyeth, while the white cabinets have been paired with wood for a contemporary appearance. 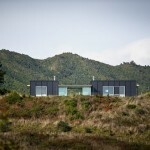 Located off to the side of the kitchen are doors that lead to an outdoor space. A 35 foot tall vertical garden, designed in collaboration with SUNY conservation botanists, has been built as part of the building facade. 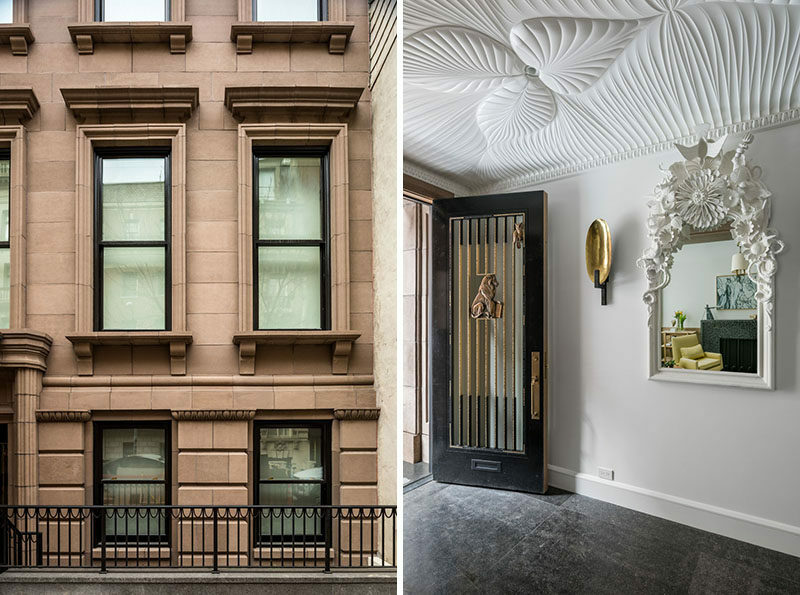 The planter elements were slip cast in custom plaster molds, using a zero-waste process, and are host to a series of rare plant species from the Hudson Valley. 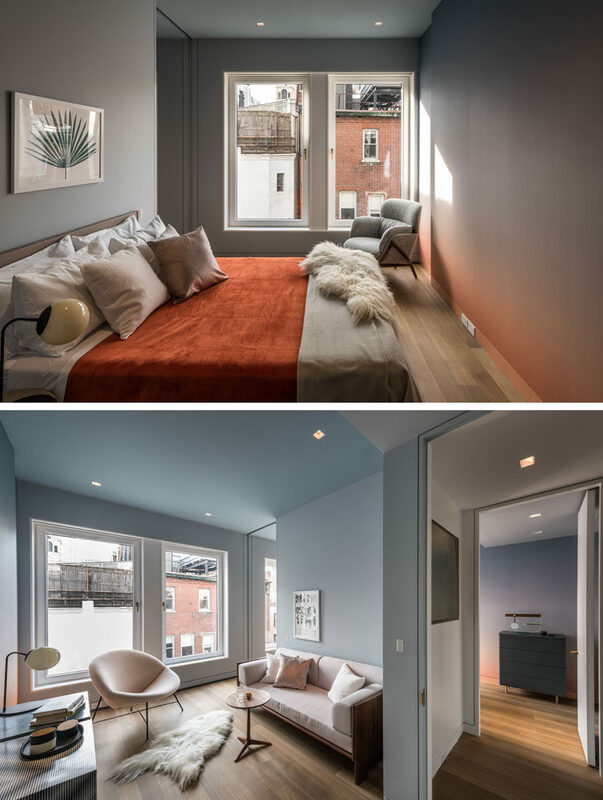 The terra cotta rear facade is accented by aluminum window trims with integral Juliet balconies that emphasize the depth of the facade and frame oversized windows and patio doors. 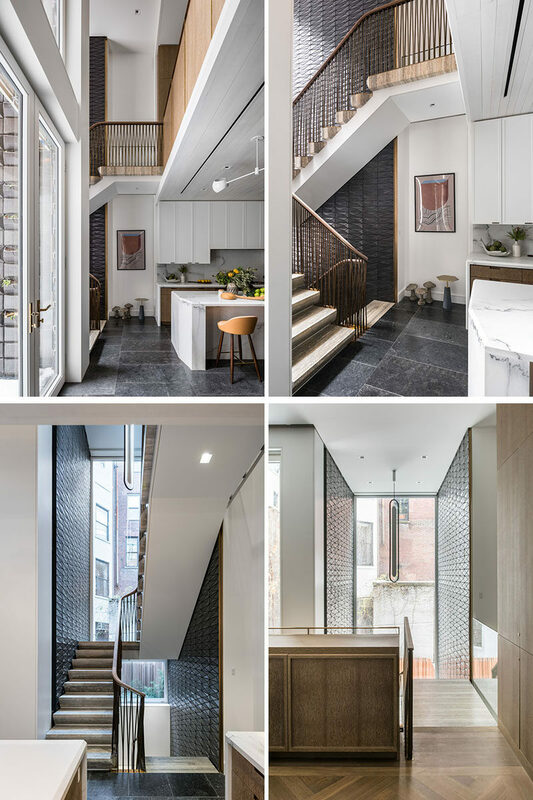 Back inside, the rear staircase is clad in glazed terra cotta tiles and is comprised of travertine block, with an undulating and braided bronze railing. 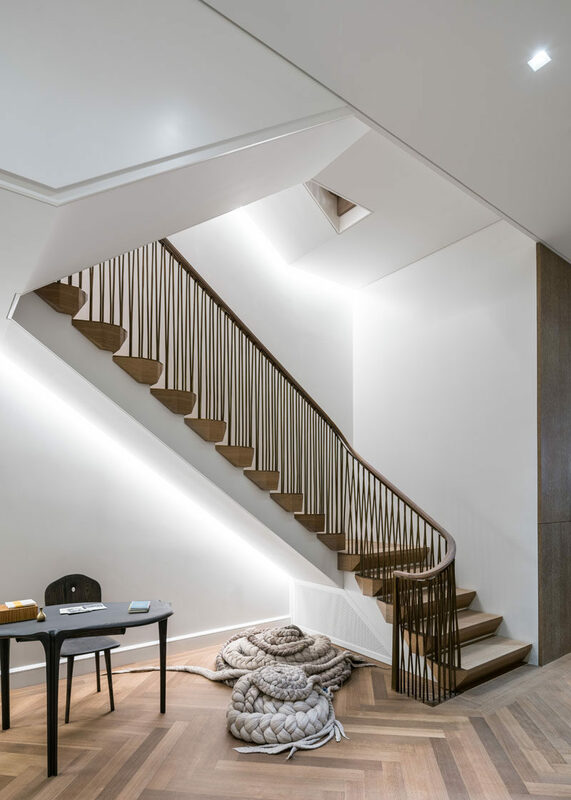 The “Dyade” pendant light hanging above the stairs was designed by Julie Richoz. The stairs link the kitchen with the formal dining room above. 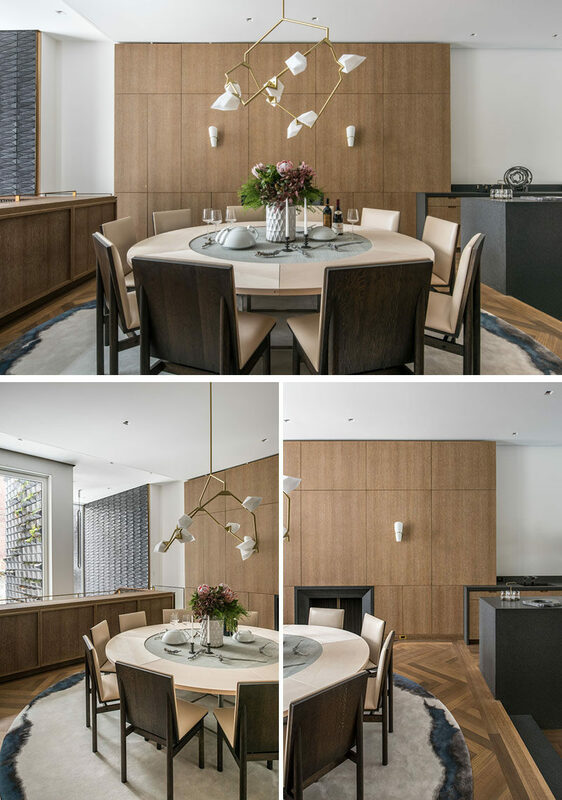 In the dining room, custom dining room chairs by Christopher Kurtz, have been paired with a vintage dining table by Poul Kjaerholm, and a custom Seed chandelier by Bec Brittain. 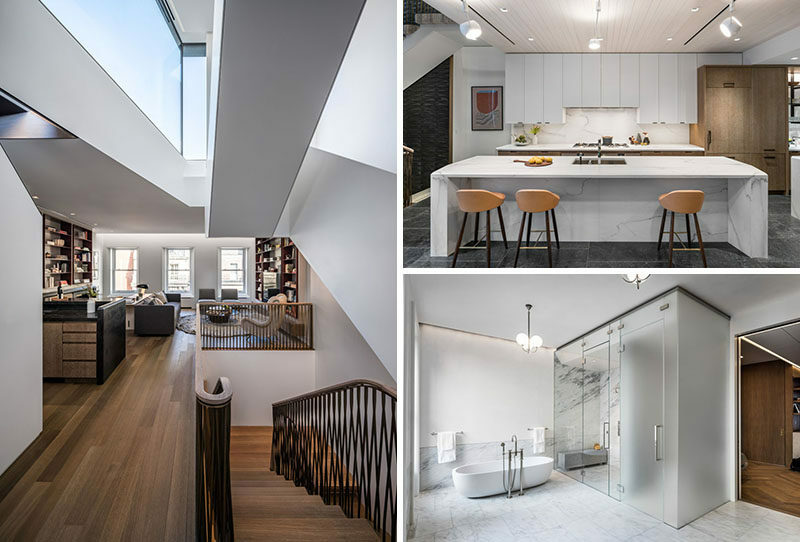 This entire floor was opened up to create a single space for large scale entertaining and family use. 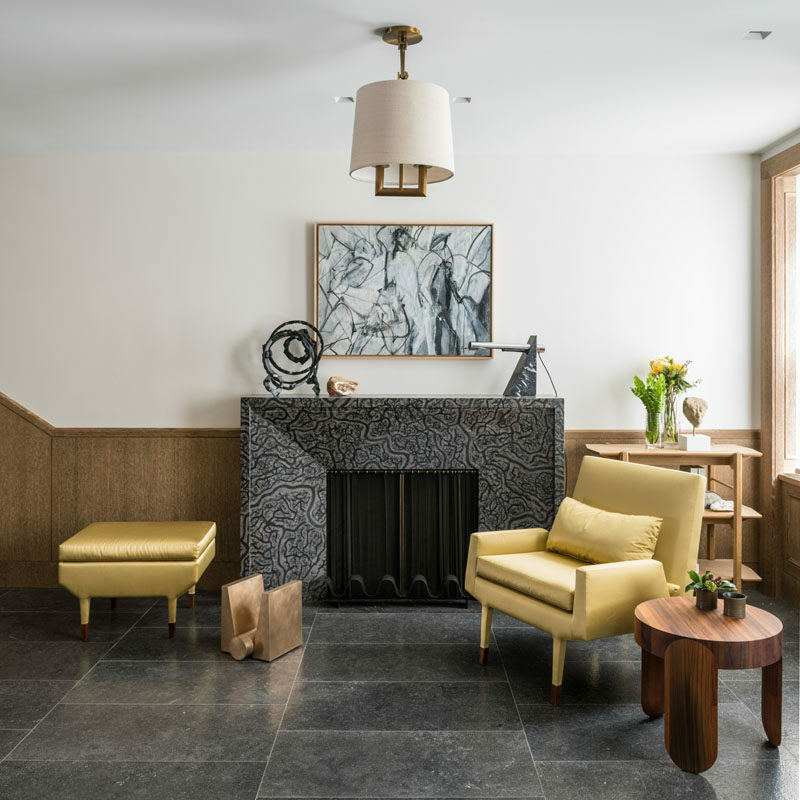 At the opposite end of the open room is the living room, that furnished with a custom sofa and Pyrex table from KGBL, an Edward Durrell Stone bench, and armchairs by Jens Risom. A custom silk carpet was designed by MKCA and executed by Tai Ping, and a custom fireplace mantel has been made from Danby marble. Off to the side of the living and below the stairs, is a sculpted writing desk and chair in ebonized ash by Christopher Kurtz, and floor knolls by Dana Barnes. Upstairs, the master suite occupied the entire third floor, which features white oak flooring throughout (except for the bathroom). 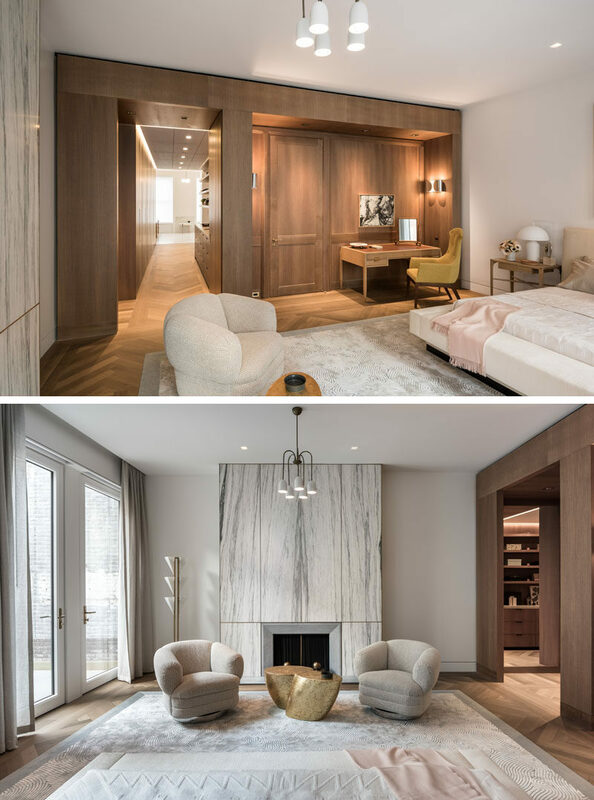 The bedroom features a floor-to-ceiling fireplace in Montclair striato marble and bronze, while another custom silk carpet by MKCA covers the floor. 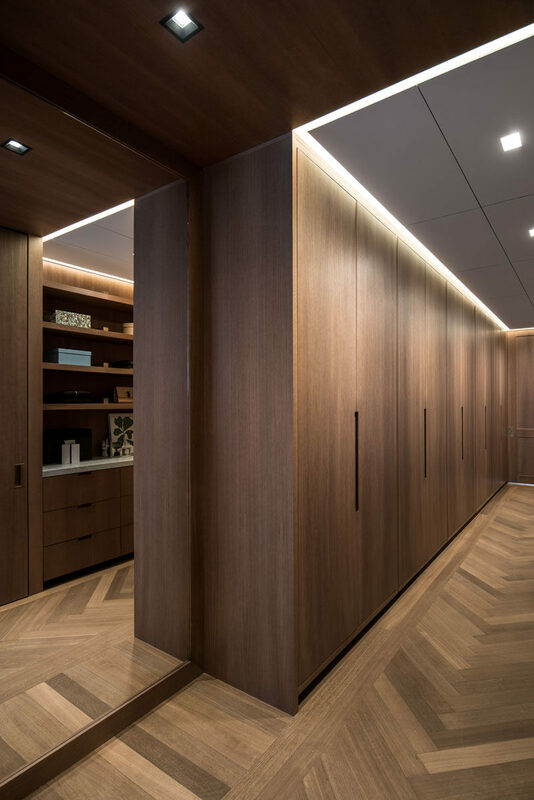 The walk in closet has minimalist oak paneling and doors, and a floor to ceiling mirror reflects the light throughout the space. 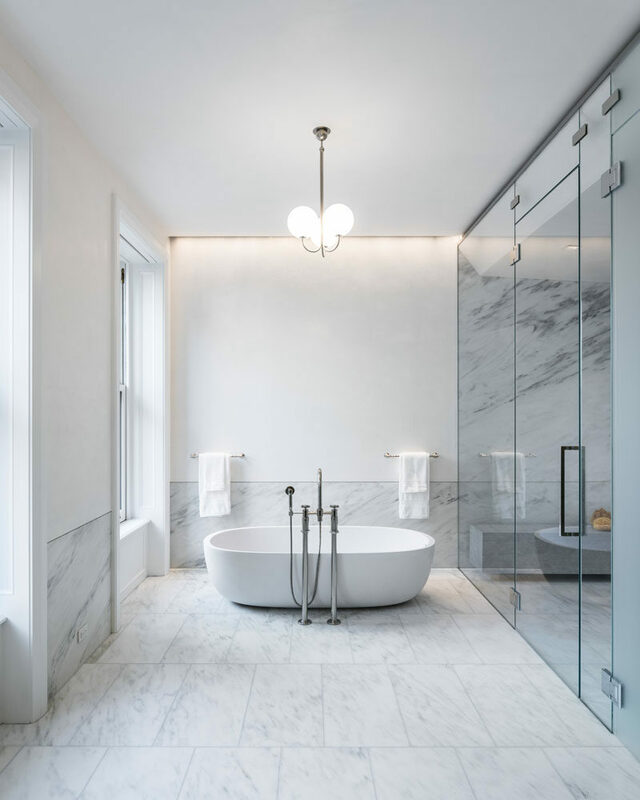 The master bath is clad in imperial Danby marble and white Venetian plaster. 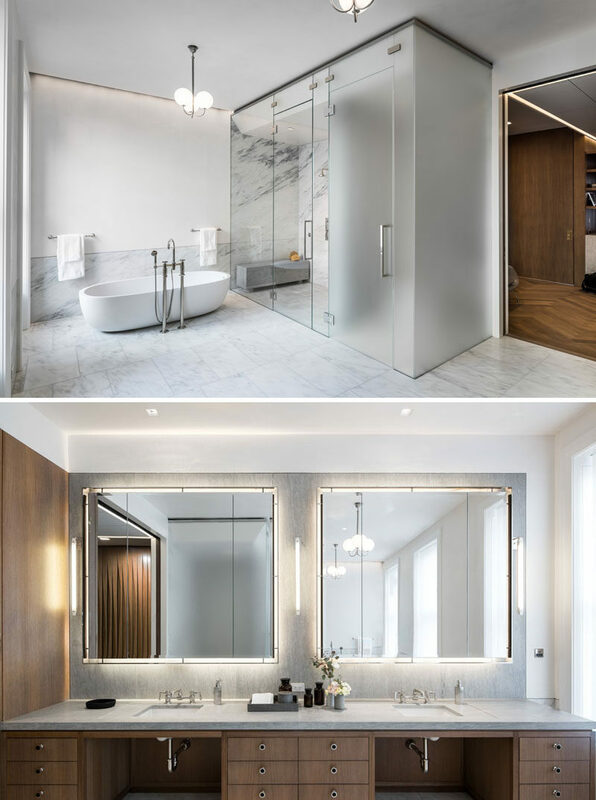 Clear glass surrounds the shower, while opaque glass houses the toilet. A soaking tub by Boffi is outfitted with Waterworks taps, while a pendant light by Michael Anastassiades, hangs above it. A screen of carved fumed oak and glass separates the main stairs and master dressing room. 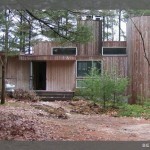 The main stairs lead from the master bedroom up to the fourth floor, home to three bedrooms. 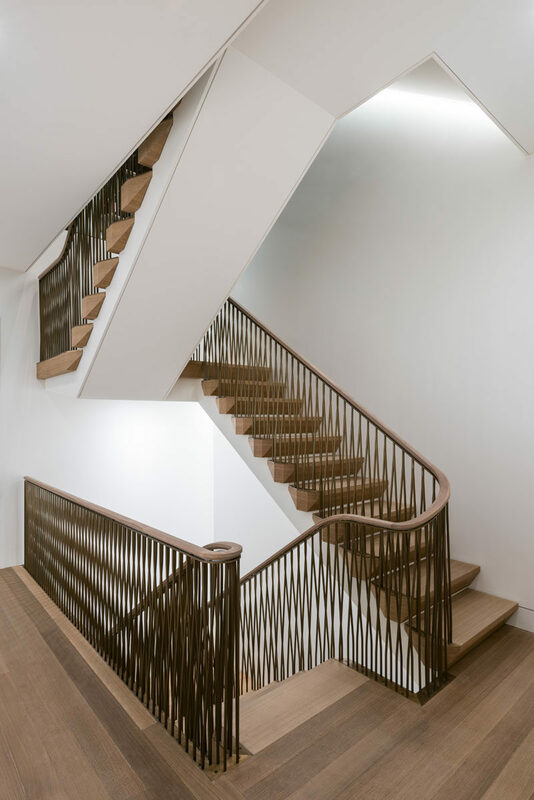 The stairs travel further up to the top interior floor of the townhouse. This floor is home to a library with a bar area, and a bedroom suite. A brushed granite bar and fireplace with faceted geometries anchors the library, where custom lacquered steel shelves, designed by MKCA, are featured on both walls. Also on this floor is a bedroom suite, with the bedroom and a study linked by a pocket door. 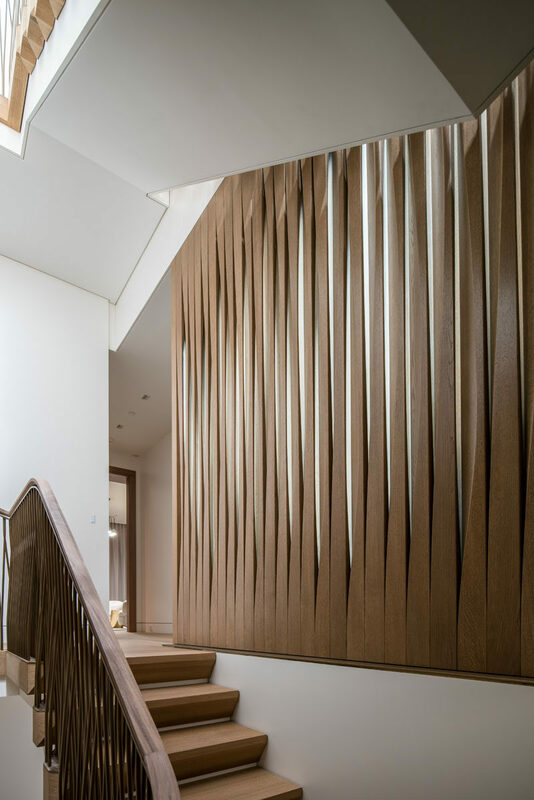 A gradient Aurora wall covering from Calico unifies the two spaces. A structural steel plate stair links the library to the roof terrace above. 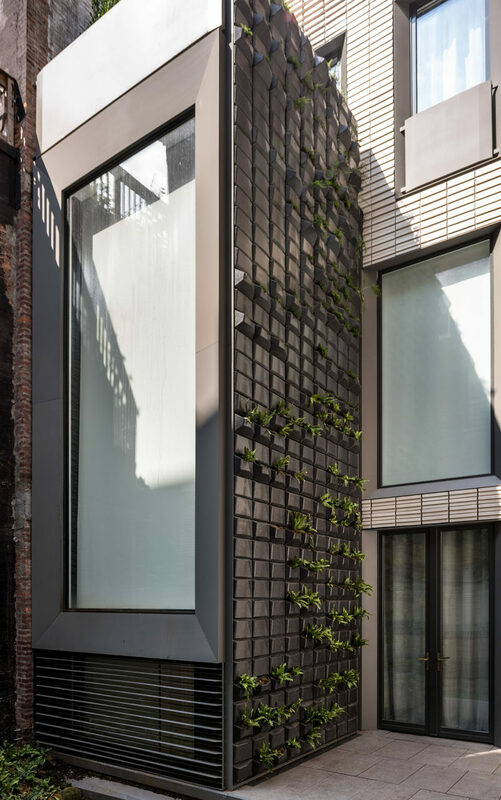 On the roof terrace, formed aluminum planters allow indigenous New York State plants to spill out in between the concrete pavers. The roof terrace is also home to a lounge and a separate outdoor kitchen with a dining space. 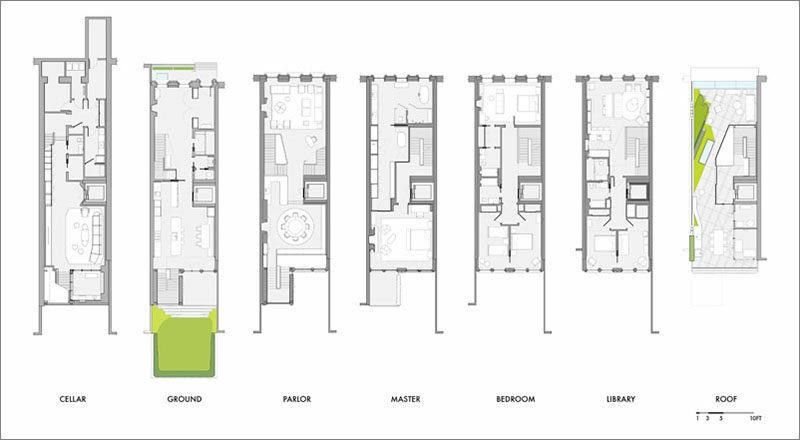 To understand the layout of the townhouse, here’s a look at the floor plans.